Oh that Food and Wine Festival. It was so yummy and we took so many photos. You will be seeing it alot as I attempt to scrap this vacation. 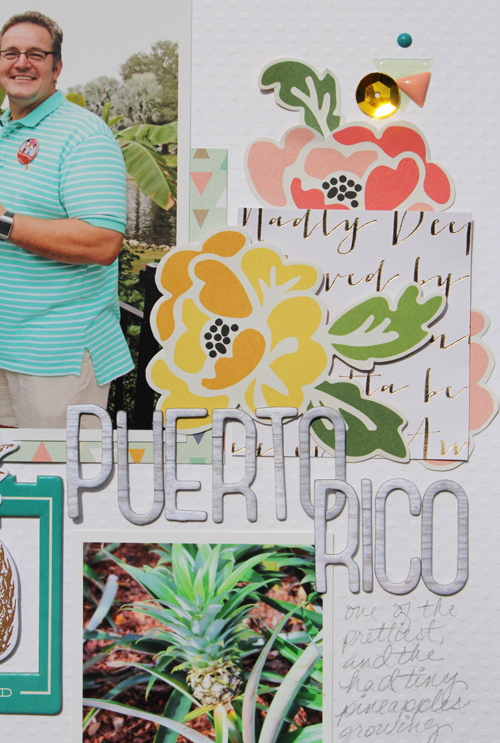 One of the most attractive booths was Puerto Rico and I wanted pretty light crisp tropical looking products to go with my photos. They had this gorgeous fountain of plants and actual little pineapples growing. 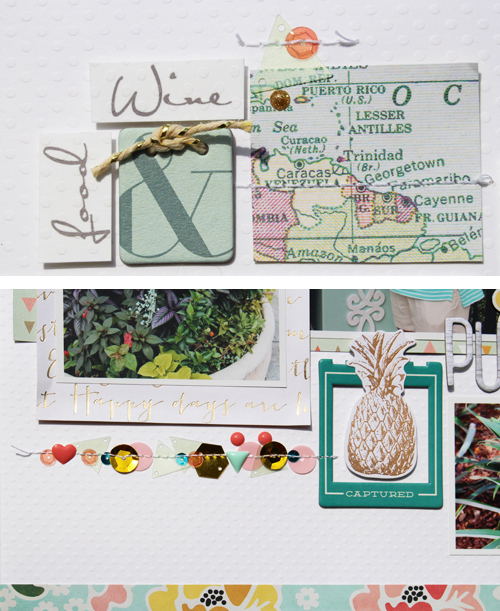 I combined papers from the awesome MME Hello World and On Trend collections, floral paper from the I Am collection by Simple Stories, and a Pineapple from Dear Lizzy Serendipity. I have a full list of links to the products below in the Scraptastic Store. I cut a strip of the floral paper for the lower edge of the layout and then cut out a couple of flowers to use like die cuts. This floral paper is fantastic for cutting out. I used the grey woodgrain Thickers for this page and I am noticing that I really love this alpha because it just goes with everything and doesn't overpower the page. What do you think of map papers? I am really loving this one because it has great colors and I can cut places out for travel layouts. They even have Puerto Rico listed there so I had to put a little piece on my layout. These cute sequins are from the On Trend collection by MME and because they have some larger fun shapes, They are pretty easy to stitch down. Don't forget when you have sequins to stitch down, hold the edges in place with a strip of not too sticky washi tape, stitch the exposed sequins and then carefully pull off the washi. 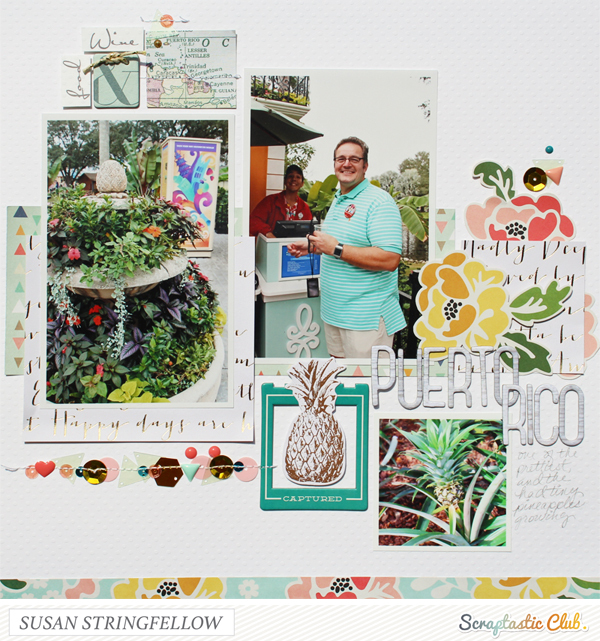 March Sketchy Thursday at Scraptastic!